RobotScience is an organisation run by Michael Ettershank and it’s focus is on education in the field of robotics, electronics and renewable energy for young South Africans. STEM (Science, Technology, Egineering and Maths) are the focus point of many programs these days and RobotScience is no excpetion. 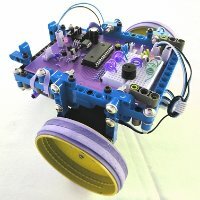 There is so much to see on this site – it’s almost addictive: ‘How to’ for DIY robot building, the Robotics Club, news about investors and inventors, links to the World Robotics Olympiad and plenty of informative videos. Michael Ettershank (LinkedIn Profile) comes across as very a focused and passionate individual and as a result he is not very active on Facebook or Twitter but most of his activities are posted on the RobotScience website. Also Michael sent me this link to some of his best videos. Michael has been making electronic gadgets for 30 years and have been teaching young South Africans for the last 10 years. Read more about Michael and his passion/vision by clicking the about page.